An hour plus of amazement, inspiration and fun! Get the details here. Host the Bully-Free Amazing Wonder Show as a daytime assembly and then host it that evening with a difference! The evening show has the same great message as the daytime assembly but the message is shared with different comedy/magic illustrations. What does this difference in shows do? The kids are extra excited for the evening performance while allowing the parents to get on the same page with their children and the faculty. During the evening program they hear the same message the kids get but with special “parent-targeted asides” that focus on the bullying prevention issues of special importance to parents. 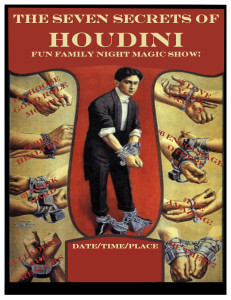 Call Today to bring these family night show to your school 1.800.732.7469 or use our contact page.